As a housewarming gift, my mom bought us a little kitchen set. 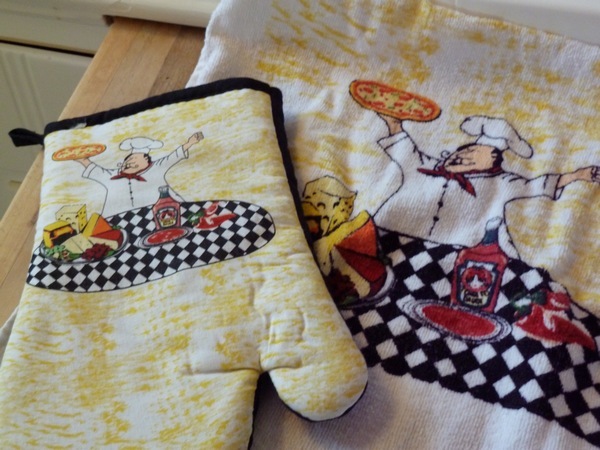 It came with a mat, oven mitt and dish towel. At first I was like, "Really?? 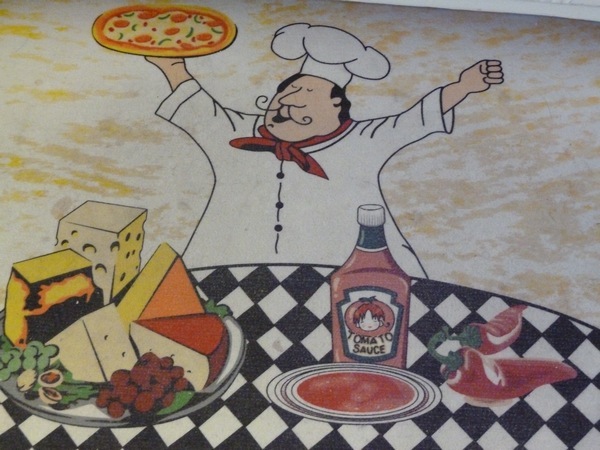 I'm not putting a pudgy Italian chef in my kitchen". We rarely eat Italian food unless you count spaghetti. A pudgy Asian chef would have been more appropriate. WHOA. 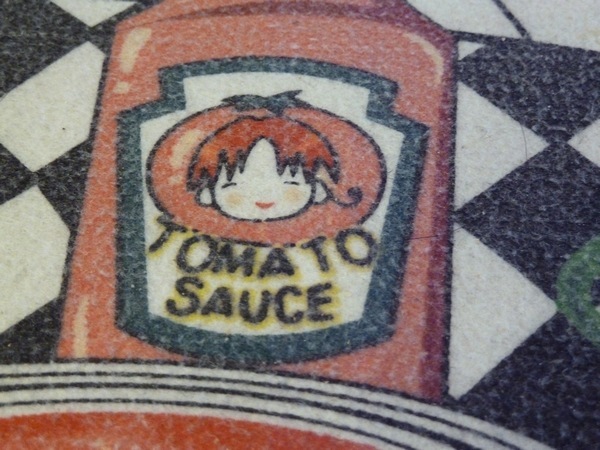 The face on the tomato sauce looks just like Italia from Hetalia! (source) The guy on the right! Seriously, even down to the little hair curl - I refuse to believe that this is coincidence! So in the kitchen it all stays. Mom knows me so well, and she doesn't even know what Hetalia is. I asked her if she got the set at an Asian store, but no - it was from Factory 2 U or something like that. Some random kitchen towel designer must be an anime fan! What kind of kitchen mat do you have? Personally I like those super cushy ones with the gel inside, so comfortable! Haha - cute! I need to get a better kitchen mat. Ours is made of some polyester blend. One day I ran out of counter space and had nowhere to put something that had just come out of the oven. I stupidly set it on the mat so now it's melted and gross. 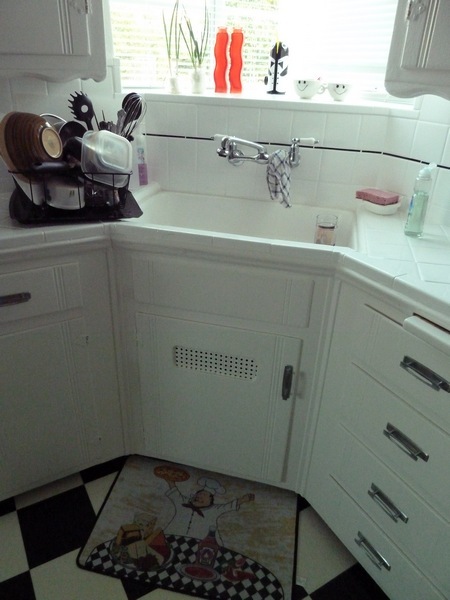 I'm embarrassed to have shared this story - I'm getting a new kitchen mat this weekend!!! I see that Italian guy on kitchen stuff all the time! That stuff cracks me up. hose do look identical! We don't use a mat bc hubs doesn't like matsinhe kitchen. He is weird like that. anime is what ties everything together! LOL WUT! That is crazy!